I wonder for how many things a Cuban would like to go out. 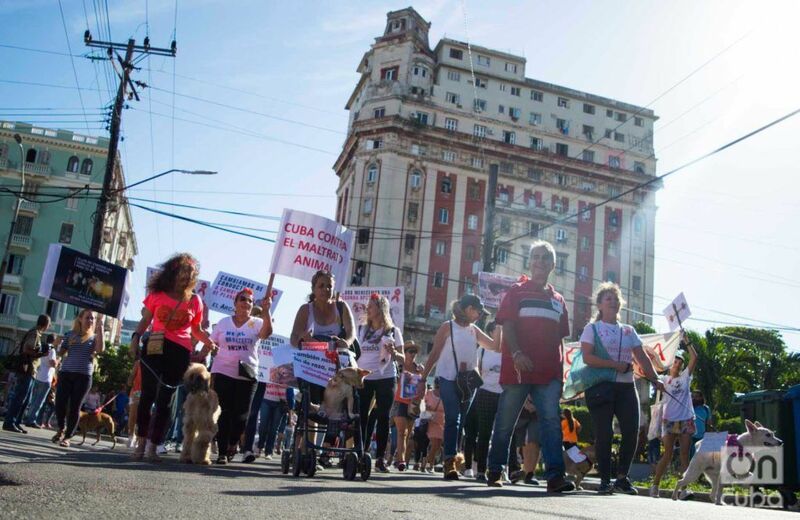 March against animal abuse, April 7, 2019 in Havana. Photo: Otmaro Rodríguez. Havana experienced a rare march on the first Sunday of April. I don’t remember a “self-convened” pilgrimage of such scales, especially because it was to protest against something in particular and its promoters are fairly independent entities: the animal protection societies do not have the power to gather crowds and freely go on a march. This type of entity is not linked, let’s say, to the official framework that approves a street congregation; but, it was based this time on the need to inculcate awareness regarding the subjection of one species over another, the mistreatment and oppression that our animal instincts bring out in us, in some way the background is also political. It’s what jumps out at first sight, because the activists intend to draw the attention of the legislators so that they assess an animal protection law. That, in a few words, also means a promotion of civic awareness. The protesters and those who authorized the march, in addition to the sensitivity towards animals, agree on another point: there is a dangerous legal vacuum on the subject. And while the law unprotects animals, it turns humans ―Cubans, in this case― into beings who are even more brutal than certain circumstances drive them to be. Reflecting on this, I have again questioned many things: the educational system continues having more and more gaps, and culture is missing something that doesn’t properly feed the spirit. That, without mentioning values ​​and “the thing itself.” Because of the proliferation of cases that gave rise to these demands, one comes to the conclusion that a lot of anger is vented on those who can’t defend themselves. In the same way we face another matter: to protest is an unavoidable right of society. Any person with the slightest conscience has the duty to express his/her disagreement on whatever subject; and they can do it, only that it be “in the right place and at the right time” as is continuous repeated in Cuba. Protesting in private has the detriment of insignificance. I wonder for how many things a Cuban would like to go out. Since when do you listen to a relative or a friend say that “well, why don’t you go out and see what happens”? The idea has been underlying in the worst moments, when a bureaucrat commits an injustice, when we find unsupplied establishments or when there has hardly been transportation to go from one place to another. However, people don’t have the courage to publicly oppose the established, for fear of many things that are not even clear; they only join reluctantly, or by inertia if the call comes from unions or political organizations to which they’re linked and the rally’s goal is a patriotic celebration. With the exception of the marches in favor of the government or the ill-fated demonstrations against it, it is the first time in a long while that an authorized and large mobilization has materialized. It demanded a right not related to our basic needs, it is true: we are so supportive that the first demand en mass is to request justice for animals. According to any dictionary, an animal is an organism “that lives, feels and suffers on its own.” We are also part of this group, and this has led me to reflections and questions that I have been formulating for some time. For example, how can we make people aware of animal complications when they are overwhelmed by so many problems of their own? I remember that the day when I was debating the subject, about the plot of a novel by the Finn Arto Paasilinna, someone refuted that a Cuban would never write about the problem. Probably, he said, no person from the Third World would be sensitized to an animal, having been surrounded by so much slaughter and human injustice. Although the joke predominated in the dialogue, in part it was a reasonable argument. In Paasilinna Vatanen’s novel, a journalist is able to turn his back on his duties, even on the family, after crossing paths with a wounded hare on the road. That defenseless animal moves him to the point of getting lost in nature, almost putting them on a par. Saving the hare becomes his destiny, because he understands that his own salvation lies in this. Such an idea would take a while to arrive in a context of precariousness. When a wounded animal crosses the path of someone who may not have much to eat, it is possible that instead of saving it, he/she rushes to kill it in pursuit of his/her own survival. I myself, fulfilling some of those journalistic tasks that took me to distant municipalities, at some time asked myself if I would be able to request protection for a calf, a pig or a goat standing on the road or I would encourage the driver to finish it off and that way take with us the booty from which we would profit so much. In the jungle one must resist. 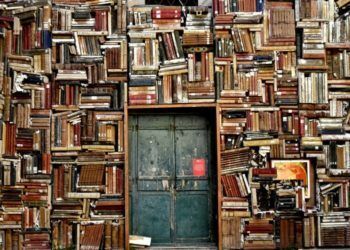 It is the teaching left by books and movies for children. It is necessary to overcome a lot of needs, as Abraham Maslow wrote, to then start thinking with enough humanity, not to say civility, which becomes a word that incorporates so many complex concepts. By raising awareness about the vulnerable state of other animals, we will fall into the joyous moment of critically evaluating our own context. That will always be a step forward, however you look at it; more so when the news breaks the information barrier, it reaches all ears and minds to the point of making us think at the same time. The activists against animal abuse are also citizens, so this time they have twice fulfilled one task. Protesting for dogs and cats, going out carrying banners, living something that would seem impossible is a step forward in acknowledging our own rights. As Galileo Galilei exclaimed, and translated so that it is understood: however, it moves.